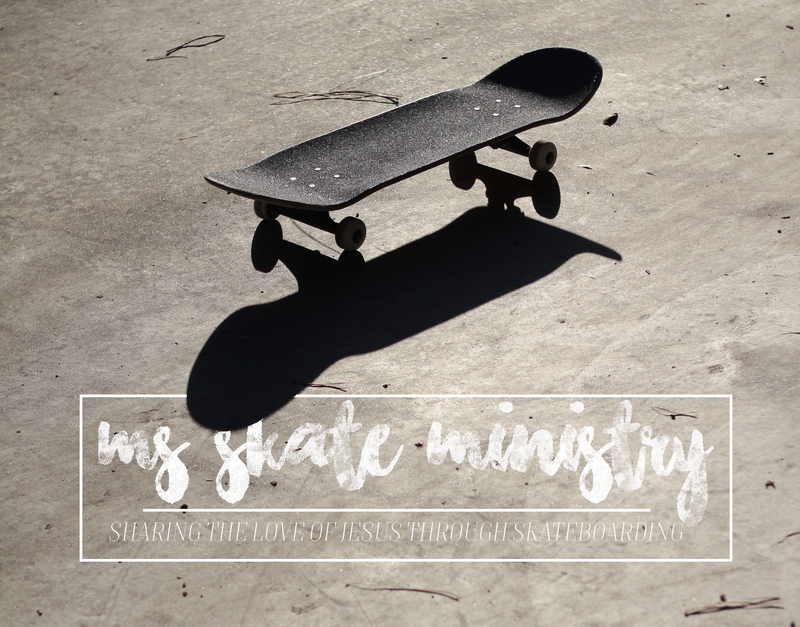 MS Skate Ministry exists simply to tell people about Jesus. Mike Steinkamp travels year round speaking at events, as well as partnering with churches and organizations around the world hosting skate outreaches. MS Skate Ministry produces films that communicate powerful Gospel messages in a relevant way, and we have heard countless stories of these films drawing people to Christ. MS Skate Ministry also released a 14 day devotional APP “Landing Bolts”, where people can read a daily devotional that explains the truth of the Bible through a skateboarders perspective. We are passionate about our local community as well, that is why we started a skateboarders Bible study in our hometown of Wilmington, NC called “The Ramp”. MS Skate Ministry is so grateful for everything that God is doing through us, and our prayer is that God would continue to use this ministry to reach people around the world with the love of Jesus. MS Skate Ministry is a 501c3 non-profit organization that runs on your donations. God is using MS Skate Ministry to reach people around the world with the Love of Christ. If you would like to support this ministry, a tax-exempt donation can be made right here.